Mr. Lin Yutang cannot believe anyone who says a good thing of China. He attributes Chinese girls' anger to their inferiority complex… . Let them wait until I write my impression of China. They will then discover that as a friend of China I am telling frankly what I like or dislike in their country. (Dekobra published Confucius en pull-over this same year, an account of his travels in China. 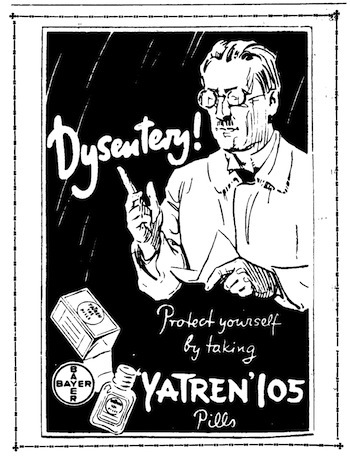 An English version appeared in 1935 under the title Confucius in a Tailcoat). It is rather unwise for the government to refuse the filming rights of this book. Let it be recalled here that the M-G-M people came to China some time ago so as to secure authenticity of people and place. Now if the government would help the film company in its difficulties and to leave out that which is 'prejudicial to the dignity of the Chinese race,' the film version can be made very beneficial to the understanding of the Chinese people. While every right thinking person should endorse the movement and become its follower, yet it is important for the sponsors and the follows of the movement not to let enthusiasm carry them too far. It is absolutely important that the life of followers of the new creed should not be made too onerous. Now should they regard themselves in any way superior to those who for one reason or another refuse to join the new movement and make life unbearable for them. 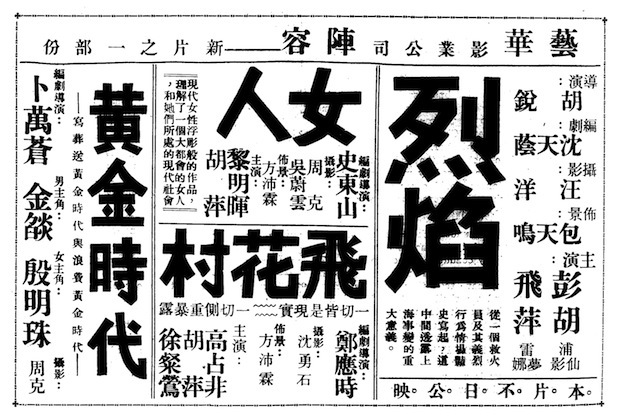 Within the milieu of periodical literature that is reaching peak influence at this time—1934 was declared 'Year of the Magazine' 雜誌年—Lin Yutang's Renjian Shi 人間世 ('This Human World'), released today, was prominent in promoting xiaopin wen 小品文, or 'familiar essay'. Throughout this year The China Critic makes efforts tointroduce this kind of essay to English readers, with a number of translated familiar essays appearing in the 'Little Critic' column. It is only lately that his [Chang Chung-chih's] name has come into renown, since formerly the art of familiar essay was looked down [upon] by the literati as not worthy of cultivation by the followers of Confucius. This essay is taken from the anthology of familiar essays written during the Ming dynasty, edited by Mr. Sheng [ Shen] Chih-wu [沈啓无]. The special article 'Dictatorship vs. Democracy', structured like a bipartisan debate, pits Chiang Ting-fu 蔣廷黻 (for dictatorship) against Hu Shih 胡適 (in favour of democracy). Everywhere one goes, one is bound to come across people who are fond of saying that to enjoy oneself is to lose all ambition in life (玩物喪志). In the eyes of these self-righteous men, the reading of old books and the writing of familiar essays are to be looked down upon with disfavor, for they are of the opinion that those who cultivate them must have first of all sold their souls to the devil. Also addressing the question of dictatorship Lowe Chuang-hua 駱傳華 argues against autocratic rule in 'China Has a Dictator'. Lowe posits that 'China has rarely found dictatorship a workable form of government' since the days of Qin Shihuang 秦始皇; he dispels the European roots for the 'latest fad' of dictatorship as being incompatible with conditions in China—('China's problems are far more complicated than Germany's or Italy's')—and concludes that 'the masses of China must be given a chance to obtain proper political training and experience' for effective and democratic government to be achieved. With the advent of occidental civilization the responsibility imposed upon and accepted by the Chinese woman has assumed even greater proportions. Here is the duty, on the one hand, to cherish the great old traditions on which the nation has relied from time immemorial for power and strength and, on the other, to assimilate what other civilizations may offer for the elevation of China's standing in the world. 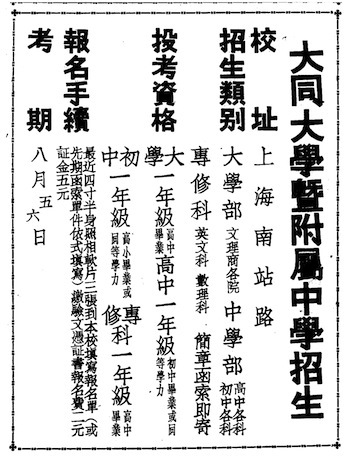 Following a welcome circular telegram from Chiang Kai-shek 蔣介石 and Wang Jingwei 汪精衛 stating their intention to relax press censorship in China, the Editorial 'A Free Press' proposes suggestions about how this might be achieved. As a modus vivandi [vivendi] may we tender one suggestion: If censorship is as yet indispensable, a board of censors may be appointed by the press association in each city from among its members, and it will devolve upon this board to carry out the instructions laid down by the government… . In this wise way the government will be able to demonstrate its sincerity in wishing to protect the press, and the press will enjoy and opportunity to prove itself worthy of the trust reposed by the government… . If both General Chiang Kai-shek and Mr. Wang Ching-wei will approve of this intermediary step, they will inject substance into their well-intentioned pronouncement.